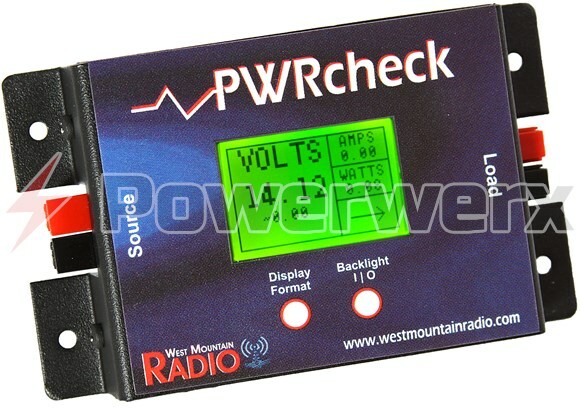 PWRcheck is an integrated DC power analyzer, watt meter and electricity monitor, measuring 0V to 60V DC at up to 40A. The backlit graphics LCD features seven display modes including voltage, amperage, wattage, amp-hours and voltage quality. Alarms can be set to flash the display for programmable limits for over/under voltage and over current, wattage and amp-hours. 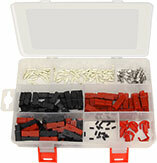 High side monitoring simplifies installation making it suitable for vehicle use. 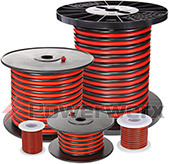 Source and load connections utilize 45A Powerpole connectors. Non-volatile memory stores over 174,000 data points (over 4 months of data @ 1 point/minute). Included PC software supports real-time monitoring, data download and charting. PWRcheck enables amateur radio enthusiasts, emergency service providers and site operators to assess load requirements and monitor the status of health of their DC power supply systems. Running an Astron Supply and the meters are lacking. So really need a better meter system. This fits the bill perfectly. I wish someone would come up with a better shelf mount type setup as I had to modify this to sit on shelf as I wanted. However its much better than the last inline LCD unit I had. I would like to see more refined software. Something simply yet small would be great.